I don’t know about you dolls, but when December hits the calendar I immediately feel über festive and I get this intense urge to pack my nails with glitter nail polish. Having said that, I recently went looking for some new glitters to add to my collection. The one that stood out to me the most was this beautiful polish from Essie’s Winter 2013 Collection, called Toggle To The Top. When I first saw this Christmassy gem, it really reminded me of Leading Lady, that was part of their last year winter line, and which I was so sad that I couldn’t get hold of. Needless to say, getting Toggle To The Top was a no brainer and I put it in my shopping basket. Toggle To The Top is described as ‘sparkling crushed garment red’ and this is s a spot on description. If I have to describe it though, I’d say that it is a gorgeous rich, deep burgundy color, which has some micro ruby red glitters running through it. From what I’ve seen, Toggle The Top is darker than Leading Lady, so if you are more into darker shades, this might be perfect for you. 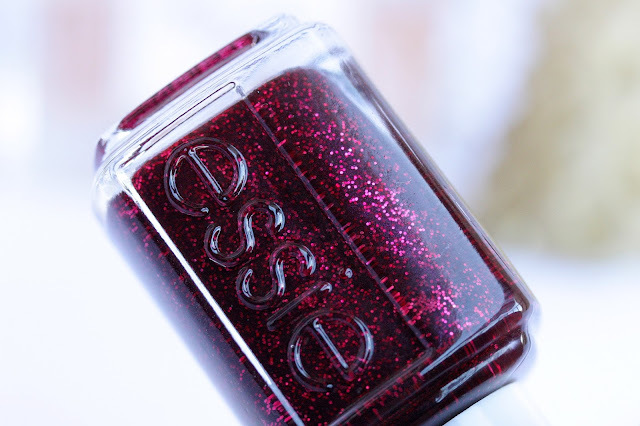 This cozy glitter-packed beauty is my ideal Christmas nail polish and I can totally imagine this sparkling on my nails when I’m unwrapping presents hehe. The formula of Toggle To The Top is, as most Essie shades I own, is absolutely amazing. The polish glides on the nails easily and is a dream to apply. You only need two thin coats to get it fully opaque and most importantly – the sparkles apply very evenly and effortlessly, which could be problem with many glitter polishes. Also, even though this luxurious nail varnish is on the thicker side, it dries out really, really quickly, which is always a bonus. The lacquer stays on my nails for some good five days with top coat. If this isn’t enough, I absolutely adore the wider flat brush as it makes the application process so easy and streaky-free. One thing I have to mention about Toggle To The Top though, is that you need to pop thicker top coat on top of the polish (I do have top coat in the swatches photos) in order to smooth it out because it tends to feel a bit rough otherwise. I usually use Seche Vite and it does wonders. Have you tried Toggle To The Top? Would you get it yourself? Which is your favorite Christmas nail polish? 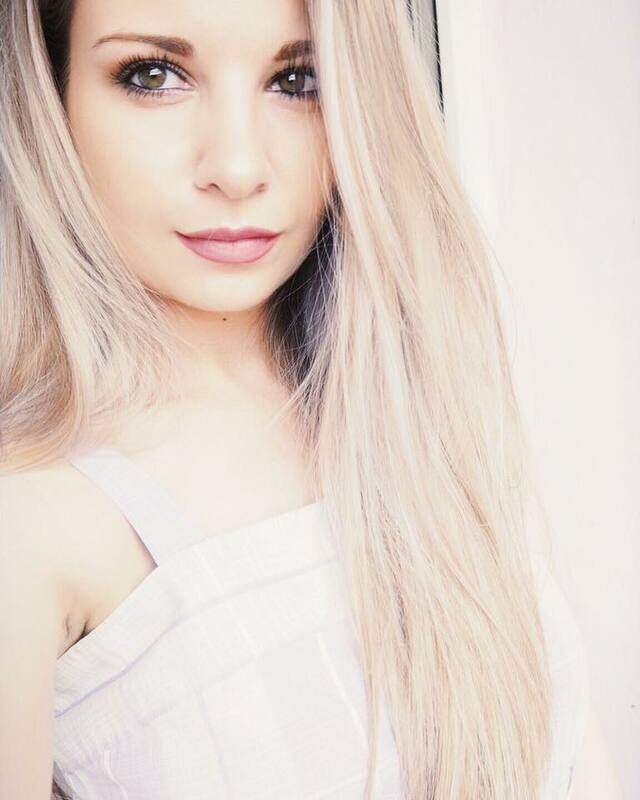 soo pretty! perfect for the season!! Oh my word, this looks absolutely GORGEOUS! ooohh what a beautiful polish, perfect for winter! Such a pretty colour. I WANT I WANT I WANT. A post on my current makeup routine has gone up on my blog, if you're interested to check it out! 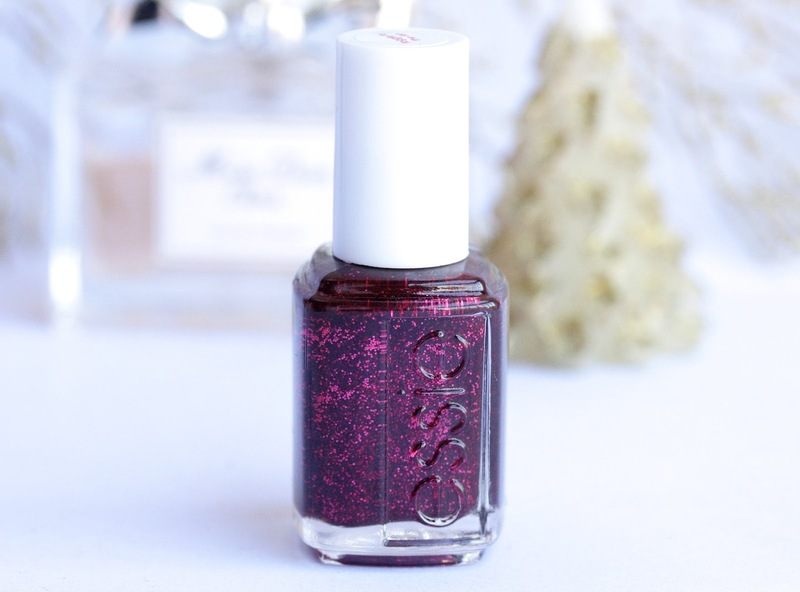 That is such a lovely shade and perfect for Christmas. I would love to get my hands on this! This is stunning, perfect for christmas! This is just fabulous for the festive season. 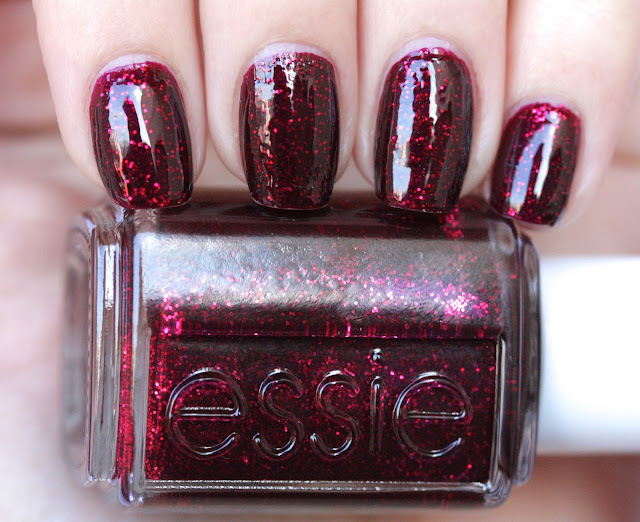 Oh my gosh this shade is stunning, and perfect for the holidays. Must get! Perfect for this time of year! And it looks so shiny. This is SO pretty and just perfect for the holidays. Looks like it applies like a dream too! I love that you can acheive that level of opacity in only a couple of coats as opposed to piling it on like some other brands. I will definitely have to look into this polish and range in general! 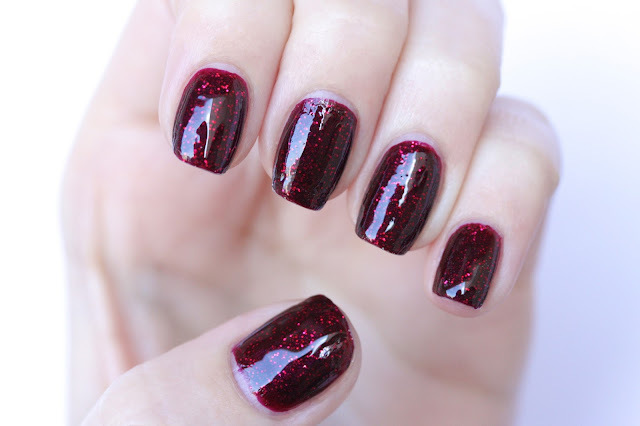 I've been lusting over the Deborah Lippmann ruby red slippers that looks like this one but with more chunky glitters, but the price point is a bit too high. This looks like a good alternative for a much better price. I just love the red glitters in this and how much they pop out! I need this in my life , what gorgeous nails ! OK WOW!! I am so impressed by this, thanks so much for sharing dear!! 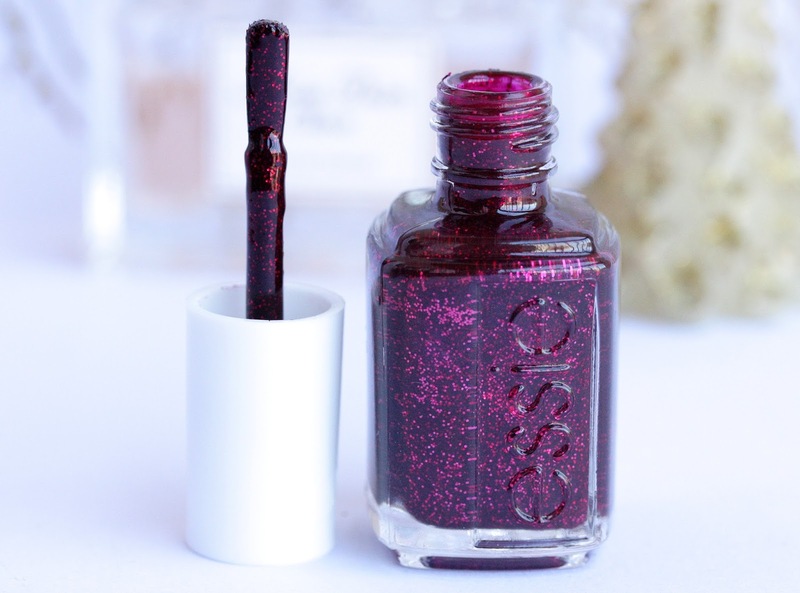 ♥ Have always loved Essie, this shade and formula look AMAZING!! Want!! It looks like Christmas in a bottle *cue heart eyes emoji*. While I doubt I'll be able to pick this up it really is a gorgeous shade! Woooowwwwweeee this colour is so nice! Love it! Parentpay is simple as well as will certainly ParentPay Login brand-new username as well as password for your account. thanks, for this gilters shades.